There’s not a lot to take away from the synopsis for tonight’s Marvel’s Agents of SHIELD episode, Option Two. The synopsis simply says, “The team finds themselves trapped and under siege at the Lighthouse.” And after last week we know that Qovas (Peter Mensch) and his alien friends are going after SHIELD to get the gravitonium. So things are going to get interesting this week. We pick up some interesting clues from the sneak peek below. 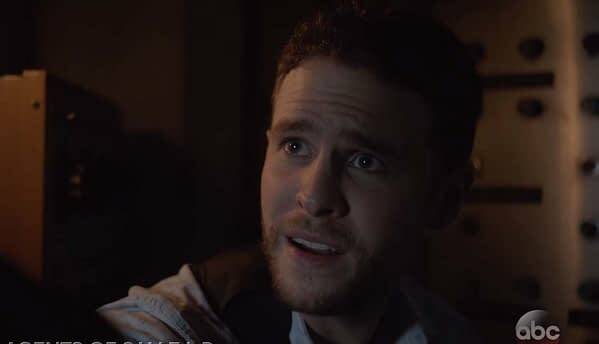 Fits (Iain De Caestecker) is looking for an override that seems to be very important. He and an unnamed SHIELD agent are moving through the Lighthouse and Fitz is trying to use a night vision scope to see when the agent gets attacked and killed. Fitz is then chased only to have Deke (Jeff Ward) come to his aid. Deke says he’s there because if Fitz dies then Deke is never born. Deke uses a fire extinguisher to chase off the alien, but it’s hard to tell if it was frightened by it or if the cold chemicals actually do damage to the alien.  Either way, they get into another room and discover the override has already been destroyed. Marvel’s Agents of SHIELD airs tonight at 9 PM on ABC.